Owners of all cars registered after 1960 need to put their car through the annual MOT test. From May 2018, cars that are more than 40-years old (first registered in 1978) will no longer need an MOT certificate. This will continue on a rolling basis meaning the following year it will be cars first registered in 1979 and so on. The government believes cars that are 40 years or older are of historical interest. Because of that it thinks these older cars are well maintained voluntarily as the vast majority are owned by enthusiasts. It also claims older cars aren’t used regularly. And when they are used, it’s usually for short journeys. Changing the exemption to cars that are 40-years old also ties in with the current car tax rules. And modern cars are very complex, requiring increasing levels of computer diagnosis. This means garages frequently aren’t set up to test much older cars. At the moment there are 197,000 vehicles on the road that don’t need to have a valid MOT certificate. 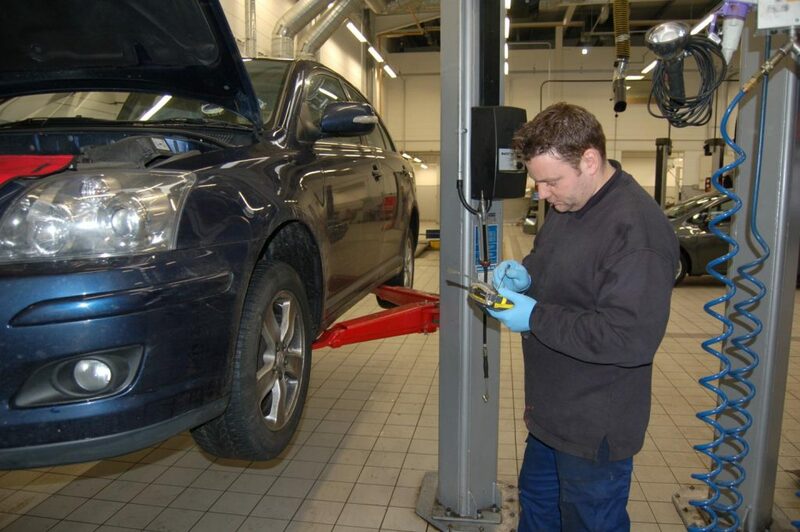 By changing the year when an MOT is needed, a further 293,000 vehicles are expected to be added to the list. That is around 1 per cent of the number of cars on the road. It means now 490,000 cars will no longer have an MOT certificate. However, the onus will be on the owner to ensure their car is roadworthy. Will it mean more unroadworthy vehicles? There were concerns from road safety campaigners that the number of road accidents might increase because there would be more unroadworthy vehicles. However, figures suggest only 3 per cent of all accidents are due to vehicle defects. In addition, Department for Transport stats show that in 2015, 215 people were killed or seriously injured in crashes involving vehicles first registered in 1961-77. In the same year, there were 160,385 deaths and serious injuries in crashes involving vehicles built after 1988. The government is currently analysing the results of a consultation paper. This asked whether a car’s first MOT test should move from three-years old to four. There has already been a strong response to this. The vast majority of people are against it and if the stats are correct, rightly so. According to the government’s own figures, one in six three-year old cars fails its first MOT. That means there would be 385,000 cars running around for up to 12 months that aren’t considered roadworthy. Testers claim most fail because of poor maintenance by their owners. Unsafe brakes, lights and tyres are the reason for the majority of failures. “What will the impact be?” More acccidents because, on the law of averages, untested vehicles are more likely to be unroadworthy. That was the reason for vehicle tests in the first place. More injuries for the same reason. More deaths for the same reason. If owners/registered keepers of decades old vehicles are to be “trusted” to keep them safe when on the road, then just what is the point of any annual vehicle tests? Why not “trust” everyone to keep their vehicles safe and legal? If it is logical for 40 year old vehicles not to have safety tests, then it is more logical not to have tests for younger vehicles. But since when are politicians logical? And no one can be bothered to devise a test suited to such old vehicles. I am trying to fathom quite what it is that you believe here. Is it that you believe that people will start buying 40+ year old cars just so they can drive them in an unroadworthy condition? Or is it that you believe that the community that already has cars of this age and has consistently proven to keep them in tip-top condition is going to suddenly stop doing so because a substantially lower set of standards (than their own) has removed? I don’t think either of the two assumptions really stands up to any scrutiny but I’m prepared to be convinced otherwise. It surely stands to reason that a late model car is safer than a forty year car. Well Eric I think you have got that all wrong, more injuries, more deaths, it’s a bit over the top. An MOT is only valid for the day it’s completed so many modern cars would fail during that year if re-tested. 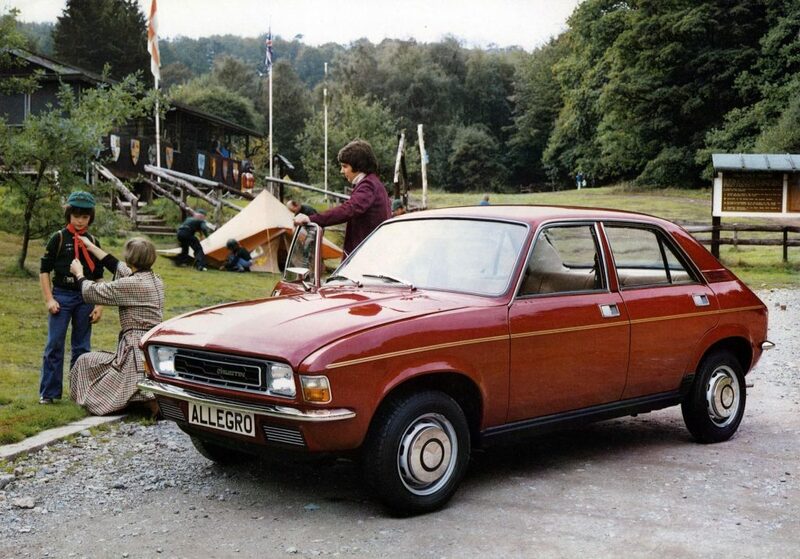 I suspect a brand new 40 year old vehicle would fail the modern MOT test simply because the brakes aren’t up to it and there was never any thought given to emissions, the truth is you would have to fail all of them! From personal experience these cars are generally cherished by their owners, they work within the vehicles capabilities and many only cover a few miles each year. I say leave well alone and let these people enjoy a bit of motoring history. Ask yourself, when did you last see any classic car killing anyone or being involved in an accident – never right. Finally, that’s a cheap dig at politicians. I would ask Richard Stamper when did he last “see” any car killing anyone or being involved in an accident? In over fifty years of driving I have seen one fatal accident actually happen. But that does not mean that accidents involving classic cars do not happen. I know of one fatal accident involving a classic Series Land Rover. Of course the test should be age related; that was why I said “And no one can be bothered to devise a test suited to such old vehicles.” If my “dig” at politicians was cheap, then the more digs they get the better; just look at the Brexit chaos. Of course the MoT is only valid at the time it is issued, but that does mean the tyres on the vehicle are legal and safe – not with cracks in the rubber from being so old because they do so few miles and sit in a garage most of the year. As for there being no “law of averages”, do we not have “average speed cameras” enforcing the law? Are not vehicle insurance premiums based on the average numbers of accidents certain groups of drivers have? The idea that an owner of a classic car is more likely than the average driver to drive to avoid accidents is possibly true. But that does not mean other drivers will show extra care around classic cars. Back in the 1980s I came across a 1920s Rolls Royce that had shot off the front of the top deck of a double deck car carrier when it had stopped sharply at traffic lights. Had there been a motor bike or pedestrian where the car fell – upside down on its roof – then that would almost certainly have been a fatal accident involving a classic car. Thanks Eric, I can spot a sense of humor in your reply which is good, especially that Rolls Royce story :-). A lot of what you say is sensible but there are too many rules and regulations these days so it’s nice to have a little freedom now and again. Personally I don’t panic when I see a classic car and think there are bigger things that concern me on the road. When I left school many years ago my first job was a trainee mechanic. I used to help undertake the MOT’s, It was a fairly rudimentary test which ended up with a brake test. To do this I had to sit in the passenger seat with a brake meter whilst the mechanic took it up the road. At a given point he would tell me to get ready and he would slam the brakes on. Depending on how far the meter moved decided if it passed or not. Today’s testing is a far cry from those early tests and I get the feeling many old motors would struggle to pass. Plus the further you go back the less capable the cars become. My worry Eric is that a lot of these cars would be forced off of the road which would be a real pity, especially as they are seldom in accidents. As for insurance, I run 2 x older classics, both around 22 years old. To insure both fully comprehensive with a fully loaded policy comes to £290. I think that’s evidence enough that the insurers feel classic cars are generally well looked after, driven sensibly and undertake few miles. Thanks, Richard. The Rolls Royce being of the 1920s had a very lightweight upper structure – which was completely crushed by the force of the fall. I too recall the deceleratometer device for brake testing. Along with “when I hit my clipboard on the dashboard, make an emergency stop” of the driving test, and the examiner stepping out into the road and putting his hand up for the emergency stop for the two wheeler test. Happy days! well i have been testing over 35yrs and test a few classic cars and i can tell you they reguarly fail mots some with dangerous faults because the owners do not understand how to repair them as they have ZERO training so all cars should be tested no exceptions . 100% agree with you Eric. Well said Eric – the fact that only 3% of accidents are due to vehicle defects means the MOT test is working. Completely crazy to say an old car capable of 100mph, needs no form of Testing. Remember that some older cars have very powerful engines too. And they were made from quality metals not plastic and fibreglass. That,s why they were so heavy. Can,t see today,s cars lasting 40+ years unless there locked away somewhere or lovingly looked after. Every vehicle,,no matter what age, should be subject to an mot test and the frequency could be decided on a mileage basis. This should also include caravans(just look at their state when returning from a continental booze cruise ) and trailers, particularly if these are homemade versions. One of these became unhitched and killed my friends son whilst walking home from school with his mother..Are the powers that be really concerned about road safety ? If they think they are ,we need a change of membership !! All road vechicles should be safe on the road. So therefore all vehicles should be tested. In this day and age I have to keep my vehicle legal. Iam 70 years old and drive a renault laguna 205 GT. It cost me a minimum of 40 pounds per year for an M.O.T. SO WHAT IS YOUR PROBLEM……. I have recently sold a 30 y/o VW Passat. While it’s not as old as the vehicles under discussion here, when I came to insure it, or buy break-down cover, the rates were always pleasingly low. Whenever I enquired as to why, I was told that data supported the concept that these older cars are generally well cared-for, “treasured” possessions for their owners and were statistically just as safe as new vehicles. Well said, David. They seem to be everywhere these days! your right when are politicians thinking logically road tax that was another stupid idea stopping car tax discs we now have the most people driving with no tax insurance or mot”s lets have a bit of common sense from the none logical MPs. Here, here Alfred,,, I own 2 x oldish convertibles. Both are polished even when they have been polished. These do less that 1k miles per year and when they do go out it’s a gentle cruise. These cars still need an MOT but both are well maintained and generally fly through an inspection. Firstly, there is no such thing as the ‘Law of averages,’ Eric; it is statistically nonsense. Secondly, you’ve missed the point. Owners of older cars have a vested interest in looking after them, as we hope there’s a chance they will appreciate in value. I could have been driving mine around with one headlight not working, as I have often seen in more modern vehicles, but instead I’m spending some effort to locate a spare. We want to enjoy driving our vehicles not run the risk of a breakdown while we’re out touring. I don’t agree at all. We should be reducing it down to two or even one year. I would even say a brand new car should be sold with it’s first MOT and it would have to be done by a garage that is not selling the car. Perhaps we should look at a mileage MOT as well, My wife has a nine year old car with only 18000 miles on the clock, but with six MOTs under it’s belt. You could own a two year old car with many more miles than that. I do not agree with the new 40 year old exemption, all cars regardless of age should have an MOT, although I do accept they would have to be different tests. Emissions would I accept have to be exempt, plus possibly a few other things but as long as brakes, tyres, steering and the like was tested, it would go some way to ensuring these vehicles are safe. Owners of these vehicles have nothing to fear if as they claim they are looked after better than some newer cars. Just because you like owning something old, doesn’t mean you have the ability or intention to make sure it’s well maintained. Many old cars are kept with the minimum of expenditure and lots of work is carried out by self taught, unqualified owners. Without an MOT test, thousands of dangerous cars will gradually be on the road as they rot away unchecked. Oh well in that case if 40 year old cars who do very little mileage then that must apply to some 20 year old motorhome owners who like me only do around 1000 miles a year. It really doesn’t matter how well I maintain my 40+ year old car there are things possibly wrong with my car that I cannot see, corrosion being one of these, emissions being another, you need a garage probably with a ramp and the appropriate tools to check for things like this. I maintain my car very well, checking and repairing things I can see or feel but every year, at MOT time, I wait with baited breath and crossed fingers that they don’t find something wrong, and occasionally they do !! Overall the comments so far both argue for or against exemption for older vehicles. However we have to remember that more cars on the roads are uninsured than those exempt from MOTs year after year. It more than likely that all uninsured cars (whatever their age) will have no valid MOTs as well so where does that the DVLSA? Even though 40+ year old cars will no longer require an MOT, all cars are still subject to the vehicle safety, construction & use laws ,so if it’s not safe it doesn’t matter if it has an mot or not the owners can be prosecuted. I think that the facts here are that insurance rates prove the low risk of classics. But the real and overriding fact is that old car MOT tests would have to be different from the more stringent tests applied to new cars. After all you can’t expect classic cars to have to be modified to reach modern standards of braking or emissions. That would affect their originality and value. So pragmatism wins and a good thing too. Having worked in a related industry for many years I observed the majority of drivers were conscientious about their vehicles. It was the minority who were very lax and paid no attention to the maintenance of their vehicle until it was due an MOT. This was particularly true relating to tyres where quite a few drivers do not know what the legal minimum tread depth is anyway. Tyres and brakes are two safety items on a car that often wear out before a car is three years old, so I am not in favour of extending the first test to 4 years. If the experts consider owners of 40 year old vehicles and older take more care of their vehicles, an annual MOT test should hold no fears for them. The annual test fee is a small price to pay for safety piece of mind. I am in favour of all vehicles being tested annually. I have long been a fan of classic cars but I question the changes to the MoT system. There are many well maintained vehicles but as in any field there are people who will muck it up for the majority of classic owners. I see no reason why some form of test should not be present as both a safety device and a check that may show up some problems to an owner who despite their enthusiasm is not mechanically minded. I would also be interested to know Green Flag’s attitude to classic cars. 40 year old vehicles have only got to that age by being loved and cared for! The best approach would be to have an age related test – so that car built in one era are tested against sensible technical standards for that era. Some items do wear out with use and some with age so I would suggest that the MOT is periodic based on sooner of time or distance covered. Some of the least safe cars I saw and drove were not very old as they were simply tools of the trade and even disposable items to many drivers and fully agree if we all drove more patiently there would be less accidents, but in the modern era that simply is not going to happen. It suits me not to have to get my MG Midget MOT’d – but I do intend to keep it roadworthy as I am a huge fan of not dying as it really spoils your day! Remember the car still has to be roadworthy and if insurers offered an incentive to prove it – say via a voluntary check I’d go for it. Stay safe and have Merry Christmas. What about insuring these untested cars, I wonder. Will insurance companies be happy to insure untested vehicles (questionmark) I have been driving a 1968 Fiat since new as an only car in continuous regular use. If I want an MOT, will it still be given under government auspices and set price, I wonder, or will it be unregulated at a charge the tester sets. Questions questions. My Fiat 850 Coupe keeps up perfectly well with modern traffic and its brakes are excellent – they have to be to get through MOT test; those conditions are exactly the same for all vehicles tested, as are wheel bearings, corrosion etc. I drive a 1965 Morris minor, which I service four times a year and check lights / brakes on a weekly basis. Admittedly I only drive 4000 miles a year and not in speeds of over 50mph. RTAs are caused by the idiot behind the wheel. All the new safety features do not encourage idiots to drive carefully. Instead of an air bag you need a spike sticking out of the steering wheel, I guarantee that driver will never have an RTA.